UK tourists using a Mastercard prepaid travel debit card will now only be able to pay and withdraw in the local currency as the payment giant protects its customers from hefty foreign exchange fees. Holidaymakers who choose to convert what they withdraw in Sterling instead of using the local currency are often hit by a poor exchange rate. Foreign exchange experts say you could pay 7% more by converting to your home currency. Which? looks at how Mastercard’s decision will impact customers and the alternative best travel debit and credit cards to use on holiday. As of last Friday (April 12) people with prepaid Mastercard currency cards such as Caxton, WeSwap and FairFX, will no longer be given the option to withdraw money in pounds. Their money will be automatically be converted into the local currency, which it is hoped will lead to a better exchange rate. 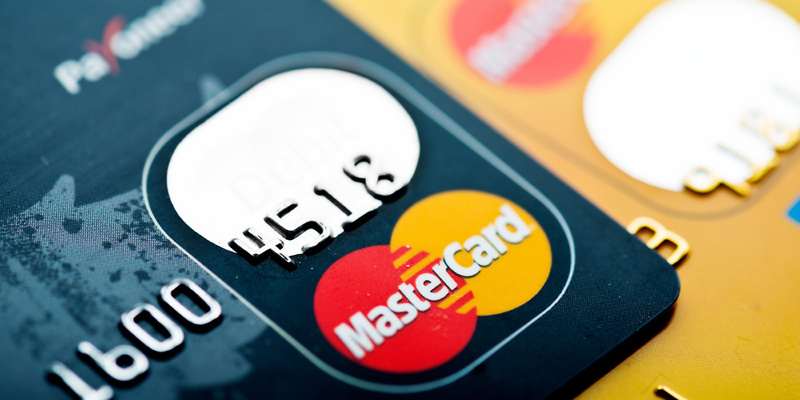 Mastercard said as many customers had agreed to have their cash converted when they loaded the card with money it does not make sense to offer another conversion when they’re abroad. The change will not impact Mastercard debit or credit card holders who are still able to pay businesses or withdraw money in pounds or the local currency. Prepaid credit cards are loaded with money and used to make purchases, but unlike credit cards, there is no borrowing facility. They are available from most online and high street retailers, and you can pre-load most cards at cash machines, over the internet, via text or by phoning your provider. You are advised to regularly check your balance and top up regularly because there’s no credit facility on the cards. Prepaid cards offer the advantage of not needing to take large amounts of cash abroad, and balances can be transferred to another card if the original is lost or stolen. However, prepaid cards are not covered by Section 75 of the Consumer Credit Act, although those using Visa and Mastercard ones can still retrieve funds using the Chargeback system. What is ‘dynamic currency conversion’? Dynamic currency conversion (DCC) is a service which allows international tourists using Mastercard or Visa to pay in their own currency at the point of sale with a business or at a cashpoint. However, the system means banks or businesses can use their own currency rate to exchange money which can lead to poor conversion rates. Caxton FX, which has been working closely with Mastercard on the prepaid card change, said there is a ‘lack of consumer awareness’ around DCC and as a result, a ‘staggering number of people are being caught out at cash points’. Should I use my debit or credit card abroad? Generally, credit and debit cards offer a poor deal for overseas spending, as banks and credit card providers levy additional charges when withdrawing cash using credit and debit cards abroad, on top of those generated by DCC – if you use it. A cash withdrawal fee of around 3% (or minimum £3) when you take money out of an ATM in addition to the foreign exchange and interest charges. If you decided to withdraw your holiday in advance, avoid exchanging cash at the airport because they have constant customer footfall and will often offer a poor rate. There are, however, a growing number of credit and debit cards that offer fee-free spending overseas. Frequent travellers could benefit from taking out a debit card with no international fees, such as the cards offered by mobile-only bank Starling, Monzo and Cumberland Building Society. However, to qualify for the Cumberland account, you have to live in the building society’s operating area in the north of England and parts of Scotland. We’ve rounded up the best cards below, or you can see our guide to best debit cards to use abroad. For purchases with a typical credit card on holiday, you’ll pay a non-sterling transaction fee, a non-sterling cash fee and cash withdrawal interest. There are, however, travel cards which will normally waive the non-sterling transaction fee and, in some cases, the cash charges as well. Below are the top five best credit cards for overseas spending based on representative APR. Note that Barclaycard’s 0% cash withdrawals only last for up to 56 days as long as you pay off your balance in full each month otherwise you will pay 27.9% APR. When you make big purchases – such as booking flights, activities or paying for your hotel – you would be advised to use a credit or debit card in case something went wrong. This is because purchases costing more than £100 and up to £30,000 are covered under Section 75 of the Consumer Credit Act, which gives you the right to claim your money back from your card provider should you need to.